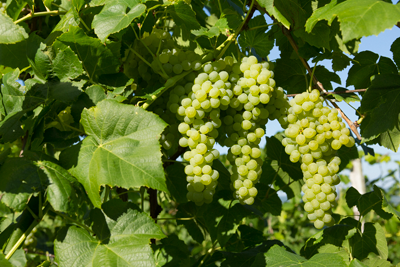 A sibling of Himrod from Geneva, New York, this white seedless grape is a high yield variety with large, compact clusters. Ripening about two weeks after Himrod, Lakemont is usually harvested around mid to late September on the Fulkerson Farm and is also available for U-Pick and table fruit. Makes a good sweet wine and can be quite delicate. Very similar to the Himrod grape and can be quite nice as a component of a “Matinee” style wine.